Pregnancy yoga is for mamas-to-be beyond in the second and third trimester and can be practised right up to the birth of the baby. No previous yoga experience is necessary. Practising pregnancy yoga can help women through the amazing physical and mental journey of pregnancy, through safe and beneficial yoga movement, pelvic floor exercise, breathing techniques and deep relaxation. It can help reduce tiredness and tension while helping to strengthen and improve energy and circulation and can offer relief for common complaints in pregnancy such as back pain, heartburn and swollen ankles complaints. It can also help to prepare for a calm delivery, both physically and mentally. Suitable for all experience and fitness levels. Wear soft, loose, warm clothing. Penny Horner specialises in yoga for women. 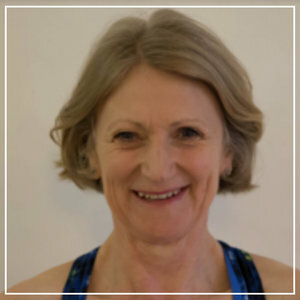 In addition to her ashtanga based general teacher training, she has specialist training in pregnancy yoga (from Yogamama in London) and has also trained with Uma Dinsmore Tuli in ‘womb yoga’. She herself found yoga to be very beneficial in her own pregnancies and in giving birth to her daughters. She has been teaching pregnancy yoga in Edinburgh for 3 years. Penny teaches Pregnancy Yoga on Wednesdays from 18:15 - 19:15 with Beetroot Sauvage Wellness Centre.